All inspection costs can be determined over the phone. The criterion used are based upon the age of the house, size and location. I also need to know whether it is a single-, multi-family home, Condo or Town-home (member of an HOA ?). The “Average” home, for example, is 42 years old, 2,300 sq ft in size, has three bedrooms and two bathrooms. THAT average home would likely cost $300 to perform an inspection. If the home is older, I know that the inspection will almost always take longer. There are likely to have been handyman and/or “honey-do” projects that weren’t quite completed up to code. If the home varies from the “Average” U.S. home I vary my estimate accordingly. I do a thorough inspection and the time to inspect a home with 5 bedrooms and 3-1/2 baths, for example, will necessarily take longer than it would my 1st home: a cute (small) bungalow in Roeland Park, KS! I will do inspections in Manhattan, KS (for example) but my rates will necessarily have to be adjusted accordingly. If the the home is maintained by a Home Owners Association (HOA), and all or part of the exterior is maintained by the HOA – I would not need to inspect those components maintained by the HOA and therefore, the cost could be lowered by perhaps $100.00, dependent upon the overall cost of the entire inspection. The main driver for cost adjustments to termite inspections are size of the unit being inspected, the unit’s age, the distance from the center of the metro and whether it is a stand alone inspection or done in conjunction with a house inspection. The main drivers for cost adjustments to Radon Monitoring are the distance from the center of the metro and whether it is a stand alone inspection or done in conjunction with a house inspection. It is wise to get your home mechanically ready before it is listed in addition to having curb appeal. 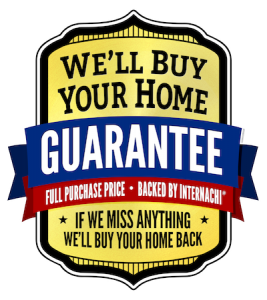 I use the same process for performing a Seller, Pre-Sale Home Inspection as I do for a Buyer. Once a Home Inspection has been performed and repairs have been noted it is often the case that a Contractor will come in to make the repairs. The punch list repairs will typically need to be inspected to insure they have been completed and done correctly. We will work with you to provide this service at a nominal cost.